Legislation such as the Accessibility for Ontarians with Disabilities Act (AODA) and Americans with Disabilities Act (ADA) indicates that hotels and motels must provide accessible means of communications for persons who are Deaf and hard of hearing. These provisions ensure all guests have an equal opportunity to enjoy the goods, services, accommodations, and amenities offered at your facility. 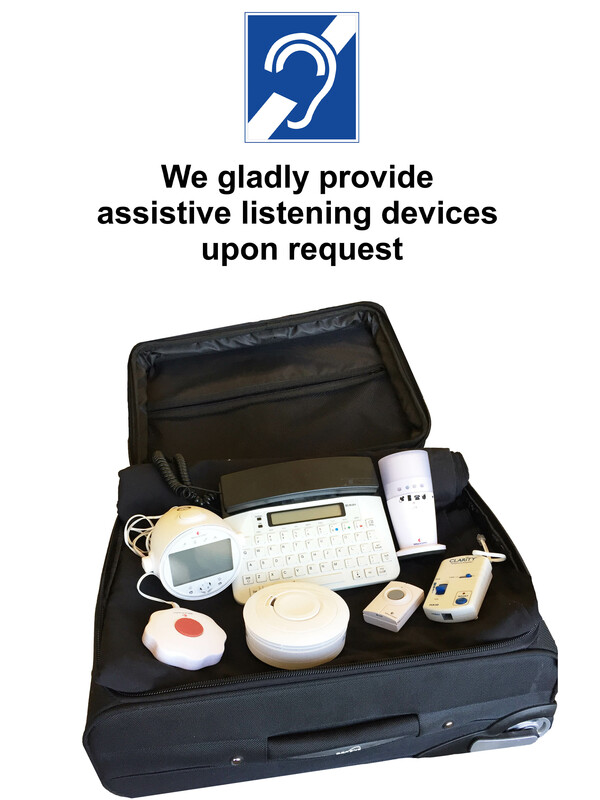 With more than 75 years’ experience, the Canadian Hearing Society has a portable and simple solution to make any hotel room accessible for all your guests.